Alcuin Montessori School inspires students to reach their highest level of personal and academic fulfillment, and is not hesitant to use unique methods to achieve results. Integrating technology has only created more opportunities for their students to grow. Alcuin first looked at interactive displays to distinguish their classrooms from proprietary touch screens and old school projectors. Most teachers used PCs, some used Macs, and others still used Chromebooks. They needed a product that would be able to work with all different types of systems and software. So Alcuin trusted Videotex Systems to provide them with an easy to use, versatile solution for their Pre-K to 12th grade classrooms. 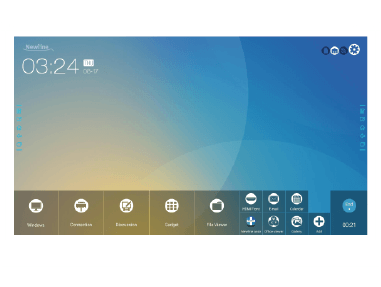 Videotex Systems recommended Newline’s TRUTOUCH interactive display for its superior performance and ease of use. 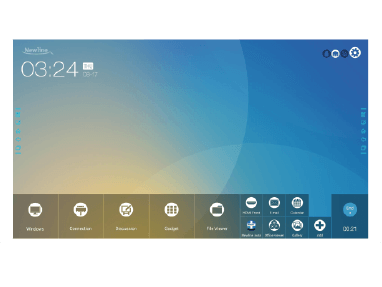 Being a non-proprietary display, teachers could connect with whichever device they had without worrying about compatibility issues. 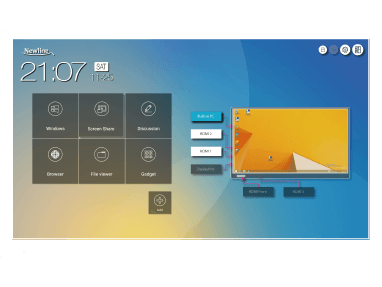 The anti-glare LED touch screen provides industry-leading brightness and clarity, and with 10 points of touch multiple students could easily interact and work together. In-person training with the display was also provided to better familiarize teachers with how they can best utilize the TRUTOUCH. The teachers at Alcuin Montessori School loved how TRUTOUCH let them connect their PCs, Macs, and Chromebooks with ease. They loved even more that TRUTOUCH let them connect multiple devices at one time, with an easy system to switch between the display, a laptop, and a document camera. With the ability to use any software they choose, TRUTOUCH was a great help to classrooms for foreign languages, math, science, and art. Not having to go through 12 steps to do simple functions really made an impact!